Canada is one of the countries that receive the highest number of immigrants per capita in any given year. 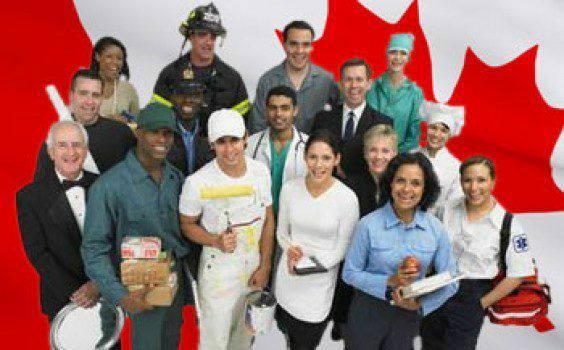 Most of these immigrants usually end up seeking permanent residence in Canada due to the several benefits that are attached to being a permanent resident in the country including free healthcare system (although this is catered for through tax paid by the citizens), adequate facilities for the disabled and elderly, free public education, low crime rates, high standard of living and several other benefits. There are quite a lot of ways by which immigrants can apply to enter into Canada. However, choosing an avenue to immigrate into Canada with the several options available may become daunting and confusing. Each immigration program by which individuals and families can migrate to Canada has its own application process, eligibility and requirements for different provinces and territories. One of the most popular ways by which people, especially skilled workers seek permanent residence in Canada is through the Skilled Workers System( Express Entry) and below is everything you need to know to ease your application through the system. The skilled worker Immigration program is managed by an electronic system referred to as the Express Entry system. It is designed to permit individuals who are skilled in one category of job or the other and possess the ability to settle well in Canada. These factors give individuals an opportunity to be selected to immigrate into the country. However, to obtain a permanent residence in Canada through the skilled worker system is not a smooth jolly ride; it is fairly time consuming and requires dedication. You must first determine your eligibility to apply for a permanent residence through the express entry, meet certain prerequisites and have the stated requirements. One can describe a skilled worker as an individual with specified training for unique skills required to carry out certain duties. Usually, skilled workers accepted under the skilled worker immigration system have obtained their skills from an institution either a college, a university, a technical school or through an apprenticeship program. Workers are accepted irrespective of whether they are skilled in the blue-collar or white-collar jobs and across wide-ranging levels of training or education. The Government of Canada selects skilled immigrants as permanent residents based on certain prerequisites and characteristics. The major criteria are the ability of potential immigrants to settle in Canada easily and contribute significantly to the Canadian economy. An electronic system is employed to manage how people with skilled work experience apply to immigrate to Canada. This system is called the Express Entry System and it depends on the Comprehensive Ranking System (CRS) criteria to calculates each individual’s points and weigh them against others applying through the same avenue. Under the Comprehensive Ranking System criteria, individuals are awarded points based on a predetermined group of factors. Skilled work experience: just as the name implies, the most important requirement to immigrate to Canada through the skilled workers immigration system is the skilled work experience. An applicant must have experience in a particular field accepted by the Canadian Government under the skilled work immigration system. Usually, there is a system used to categorize the kind of jobs and skills accepted under the Skilled Workers Immigration System. This system is called the National Occupational Classification (NOC). Under the NOC, various skills are classified based on the job duties and the kind of work involved. Skill Type 0 (zero): this includes management occupations. Such occupations include the restaurant or catering services managers, mine managers and shore captains (fishing). Skill Level B: this skill type includes technical occupations and skilled jobs that usually require a college education or period of apprenticeship training. Such occupations include plumbing, carpentry, chefs and electricians. Level of Education: for applicants who have their education in other countries but Canada, you will need to obtain an Educational Credential Assessment (ECA) and provide the report from any approved agency. To see the list of approved agencies, you can follow this link. The ECA is a proof that you have a level of education equivalent to a Canadian degree, diploma or certificate as the case may be. However for applicants who have had their education in Canada, all that is required is a copy of your certificate, diploma or degree as applicable as evidence of your educational level. Admissibility to Canada: another important requirement is to ensure you are admissible to Canada. If you fall into any of the categories below, you are regarded as inadmissible into Canada under the Canada’s immigration law. You have criminal record or have been engaged in fraud or violation of other people’s human rights or any organised crime. You have a family member or members not allowed into Canada. You can determine if you are inadmissible here. The age of the applicant: applicants are scored based on their age at the point of application. Applicants under 18 are awarded no points while those between 18 and 35 years are awarded 12 points which is the maximum score for age. Applicant’s education: your education will also be scored as one of the major factors. Here you can have a maximum of 25 points. Work experience: the work experience is scored based on the number of years the applicants have had experience and the maximum score here is 15 points. Candidates with a year experience will be awarded 9 points, if you have between 2-3 years, its 11 points and so on. People with 6 years experience or above are awarded 15 points. Job offer: applicants with a job offer can get as much as 10 points under the CRS. You must have a valid job offer in Canada to be awarded points under this factor. Adaptability: an applicant can score a maximum of 10 points based on their ability to adapt easily and settle in Canada. Important Tip: To qualify and be sent an immigration invitation to Canada through the Skilled Workers express entry system, an applicant must have at least 67 out of the 100 points as divided under the factors stated above. You are required to first determine your eligibility before proceeding to apply under the skilled workers system. You can determine your eligibility to apply for permanent residence in Canada through federal skilled workers express entry by clicking this link. After you have successfully determined your eligibility, you must then create an online express entry profile. The express entry profile is created online and the process is free of any fees or service charge, the system is also secured such that applicant’s information is well protected. This is the third stage in the application process for express entry system. Although this step is not compulsory, it is highly recommended. After completing your online express entry profile and being accepted into the pool of candidates, the next step is to create a job match account or link up with recruiters. The job match account is a system of job search in Canada. It is an online job search tool used to connect job seekers or potential employees with employers who have job offers that suit the skills of the applicants. It is important to create a job match account so that an applicant can easily find a job once they arrive in Canada. Having a job offer in Canada increases an applicant’s chance of been invited for permanent resident application in Canada. You can also keep using your job match account even while in Canada. Once an applicant has been accepted into the pool of applicants and sent an invitation to apply for permanent residence. The next step is to go ahead and apply. You will be given a period of ninety (90) days to apply for your permanent residence in Canada once you have received an invitation. During your application, ensure that you fill all your forms correctly and completely and attach all requested documents. 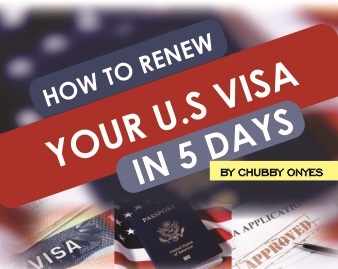 The period of getting your application for permanent residence processed may take up to six months depending on the situations surrounding your application. However, it may also take less time if your application does not require much investigation or request for other documents. Unpaid internships of volunteer work do not count as job experience in the skilled immigrant system. Ensure that you include only paid work in your experience. Work experience to be used in your application must not have been over ten years. Work experience is required to be at least a total of 1,560 hours (a total of one year) either as part time or full time. Ensure that you provide proof of work experience that indicates clearly how you wee bale to carry out the duties allocated to the job experience and skill type as described in the National Occupational Classification. Inability to show your work experience with the specific descriptions stated within the NOC will make you totally ineligible for the plan. I am a Nigerian and currently working in the United Nations office in Nigeria as a radio communication operator/security expert. I want to know if my job qualifies me for the skilled worker immigrant. Also, if im qualified,can i bring my family(wife and 3 children)along? Nice going through this piece. I’m a prospect and applying for federal skilled worker with my family and our scores on the CRS is 360. Here you’re talking about 60–100 and from update I saw in CIC news bulletins 440, for qualification. I’m considering taking another language proficiency test to boost my score. Hi, travalvisa, Thanks for this wonderful information I’m planning to go to Canada this next year and you helping me to know the whole process through your blog you share a nice piece of information, You tells us a lot in basic requirements for a skilled worker. I read and understand the terms and conditions carefully, I wish to apply for a job as a skill parson thanks.